Please note carregistrationassistance.org is not associated with the state DMV. We are a private website with a seasoned team of experts who produce content for your driver's license needs. 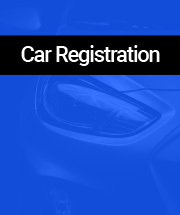 carregistrationassistance.org and the Road Guide is not endorsed nor affiliated with any government entity, including any federal, state, county, city department, bureau, division or agency.